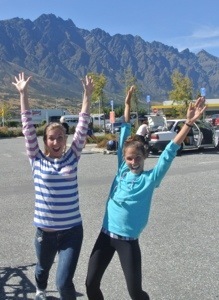 What do you get when 2 great friends, kindred spirits, and former teammates who haven’t seen each other for over 6 months and 1 crazy awesome husband reunite in New Zealand? 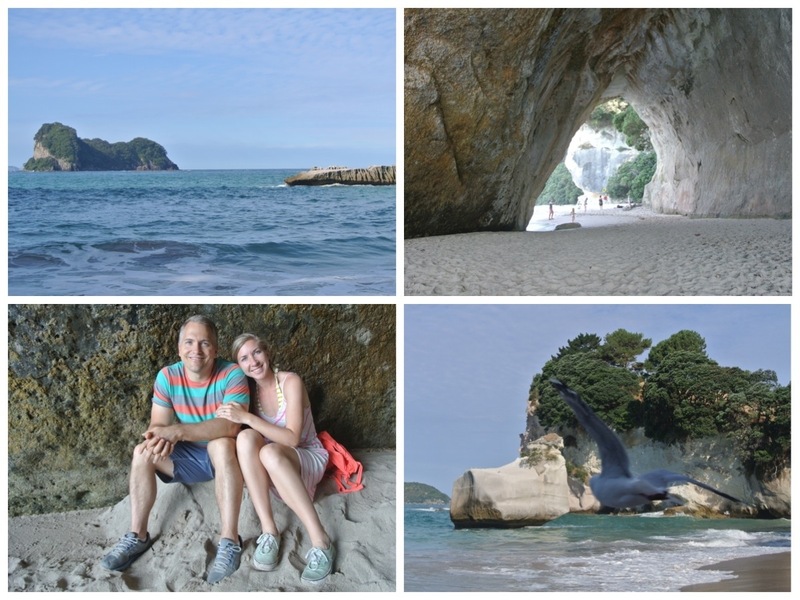 I spent last week with one of the most joyful, adventuresome, generous, loving couples that exist– Paul and Callie Thomas– and had very few opportunities to give my jaw a break from smiling or laughing. Callie and I even had to enforce a forbidden topics list during one of our workouts because there were so many things that got us chuckling and would surely have disrupted our flow. 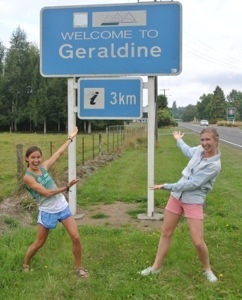 One rare exception was driving away from Geraldine, a place whose only flaw is that it doesn’t extend across the whole planet. And that someone honked at Paul (although I’m convinced it wasn’t a Geraldinian but a mere passer-by). 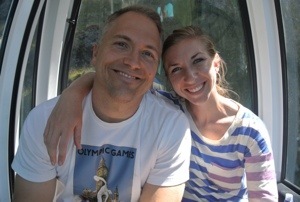 From minute one, Callie, Paul and I struck out on as many naturey, scenic, new adventures as possible. 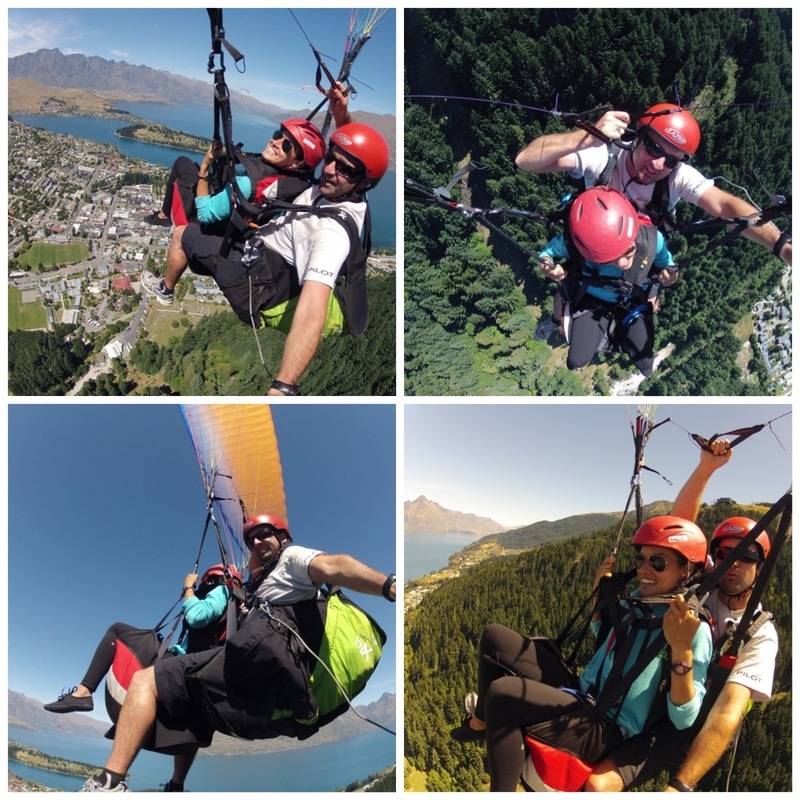 Paul set the tone for the week when, barely out of the airport, he proposed we go paragliding over Queenstown. I hope it’s not true, but I think that was the closest I’ll come to feeling like a flying squirrel. 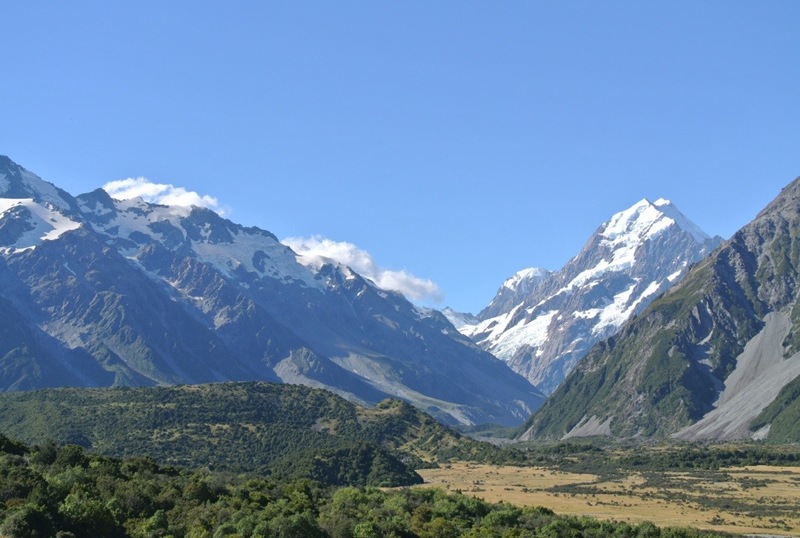 That afternoon, we drove to Aoraki, a pretty little village beneath New Zealand’s highest mountain, Mt. Cook. I could have spent all day soaking up the majestic mountain view from our hotel, but Paul, adventure-planning extraordinaire, had better ideas! We went on a stargazing tour the first night and learned all about the sky and constellations in an area officially recognized as the International Dark Sky Reserve. I wish my camera captured how mind-bogglingly clear the stars and moon were, but I know for a fact that I’ll never look at the night sky the same way again. 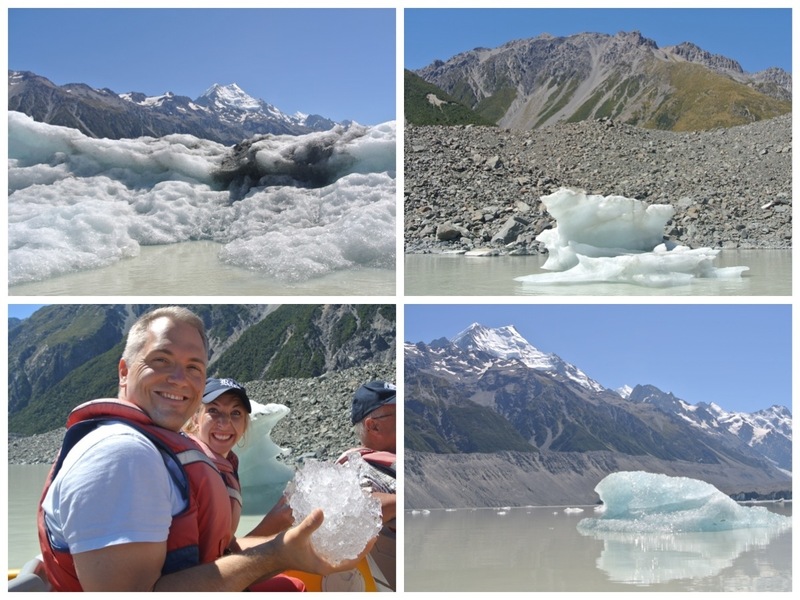 The next day, we went on a glacier tour and I exponentially increased my glacial knowledge and appreciation. 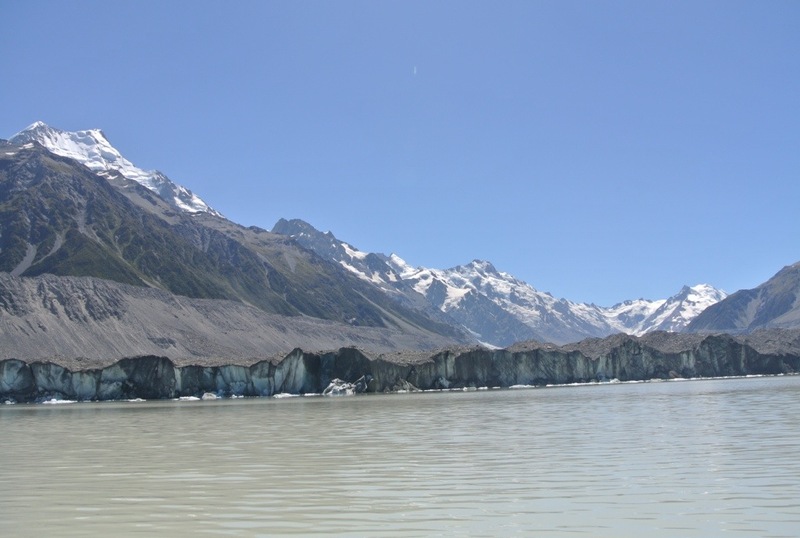 See that long rocky slab of ice below the mountains? It’s 27 kilometers long and 90% underwater. Wild, eh?! 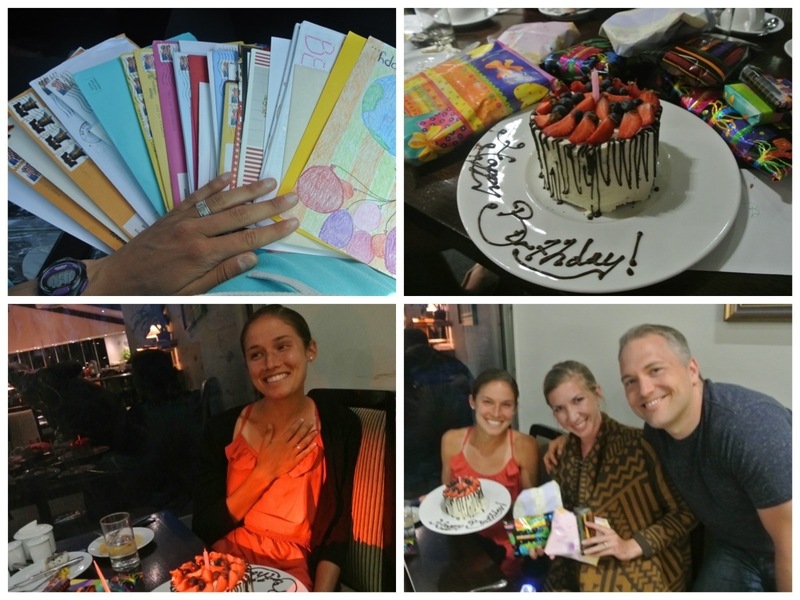 Our second night together, Callie and Paul surprised me with the sweetest birthday surprise ever. 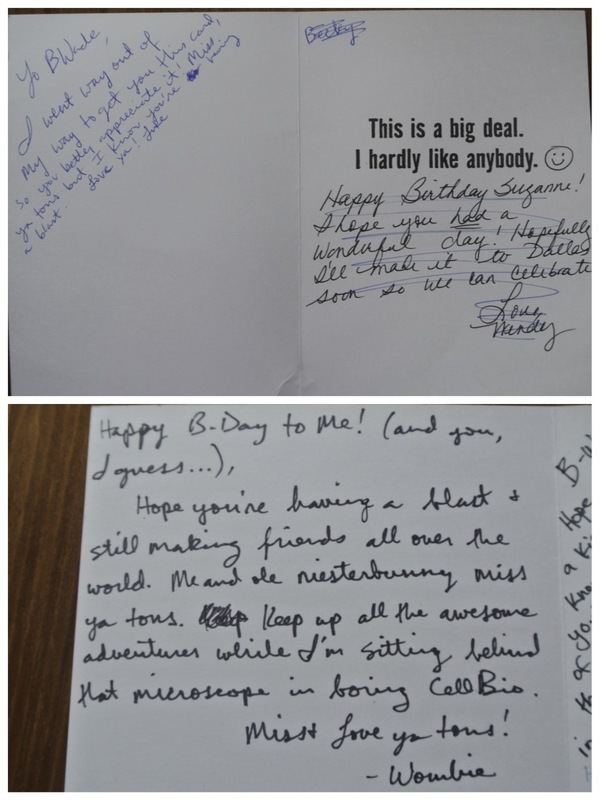 They showered me with a stack of cards that the world’s best mom collected from friends and family, treated me to a delicious dinner and cake, and delivered some awesome gifts from the Wade clan. To give y’all a taste of how detailed and caring my mom is, get this: She sent a perfectly-sized, labeled piece of wrapping paper to go with each gift, as well as wrapping materials and instructions for Callie. If I can’t have some motherly love up close and personal on my birthday, her outrageously meticulous and thoughtful touches are the next best thing! Every single one of those cards made me smile big time and appreciate having such amazing friends and family. So thanks to every one of you who sent one– it means a ton and I will always remember my special 24th birthday and very first one away from Texas. After two nights at Mt. Cook, we cruised to Christchurch for a quick afternoon and evening before flying to Auckland the next morning. 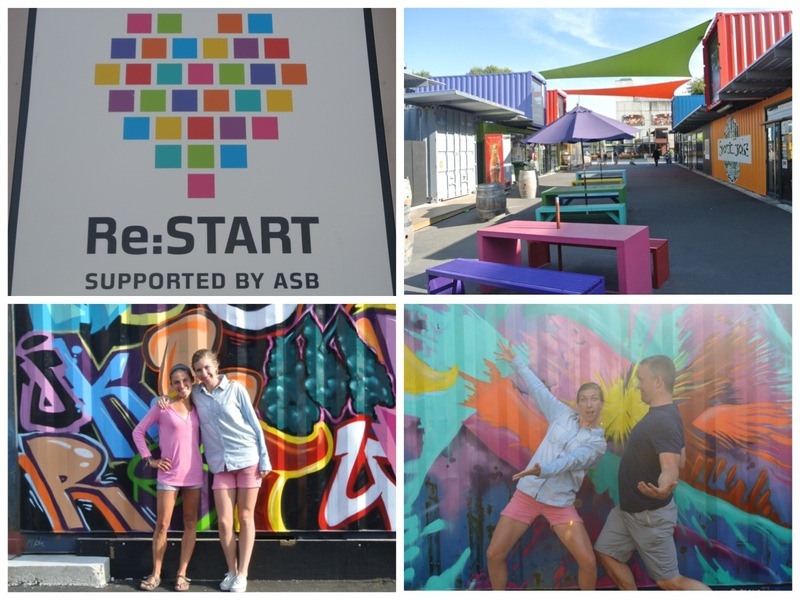 We speed-explored through the Re:Start area of downtown, which is a shopping district created out of big shipping crates after the earthquakes devastated much of the city two years ago. 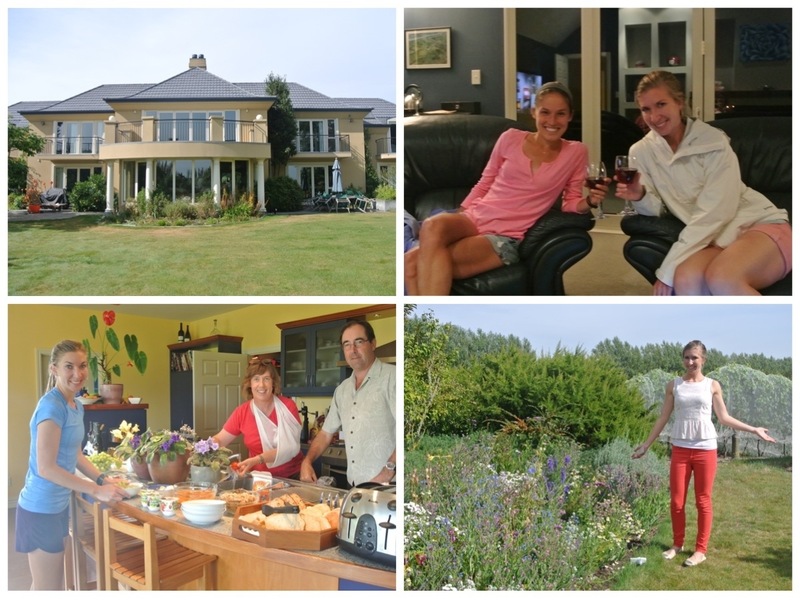 We also stayed in an adorable lodge that’s connected to a vineyard and a perfect warm-up away from a trail where Callie and I did a solid 400m session the next morning. 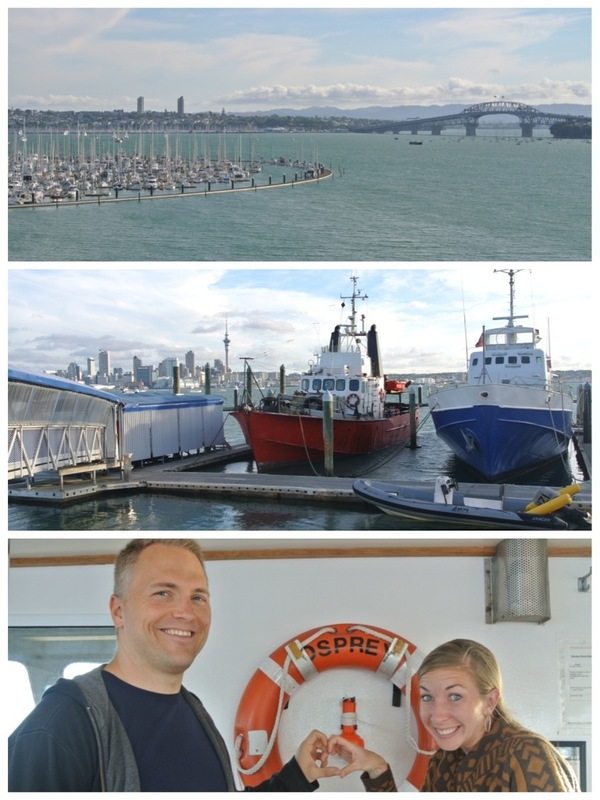 Back in Auckland, the good times with the Thomases rolled on, starting with a ferry ride from our hotel to downtown for a delicious Asian feast. All of our meals were hearty and delicious, but the best part about each of them (and our long dives) was a little something I like to call TPQ. Paul has a way of coming up with some deep, and sometimes completely absurd, thought-provoking questions (TPQs) that usually involve my future husband or supernatural powers. Words of wisdom from a now-experienced TPQ player: If you ever hear Paul utter, “So ______. 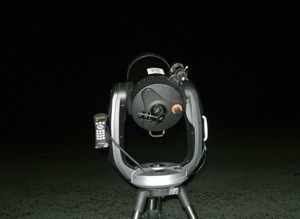 Here’s one for ya!”, get ready for some major introspection and challenges to defend your answer. And then be sure to boomerang the question right back at him for some serious entertainment and creativity. 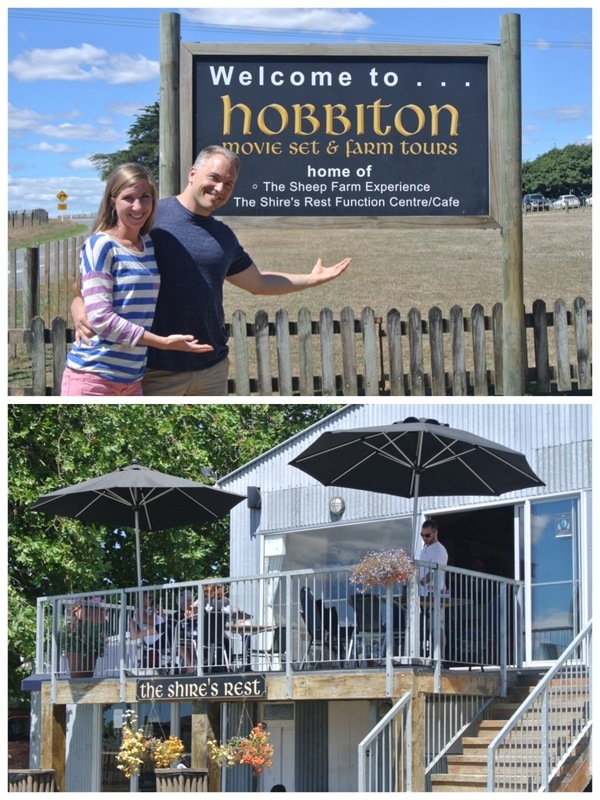 For our final full day together, Paul, Callie and I drove 2.5 hours to Matamata to see the farmland and set of The Lord of the Rings and The Hobbit. 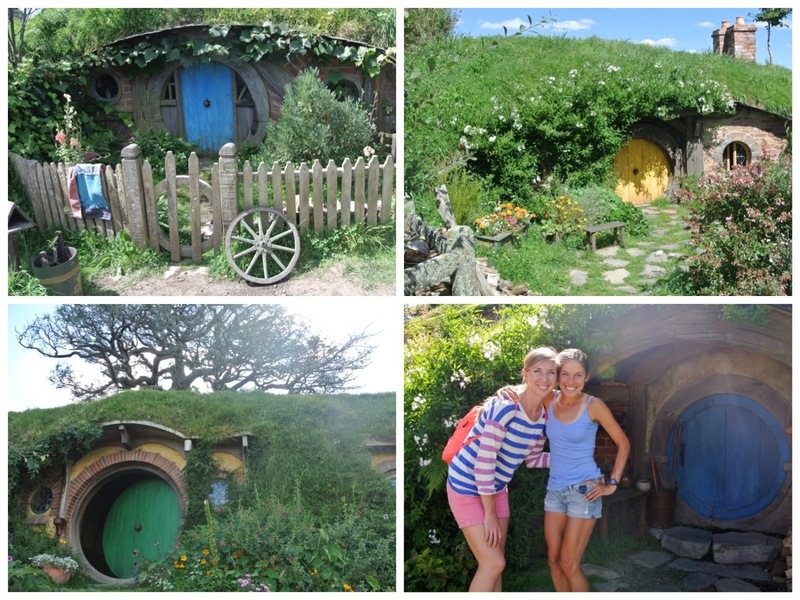 It had been a while since I saw any of the movies, but walking through the set and envisioning myself living in a hobbit hole someday made me eager to read the series and re-watch the films. I’m still mystified about the effort, details, and ingenuity that went into the creation of Hobbiton, and can totally see why New Zealand offered the ideal setting for the film. 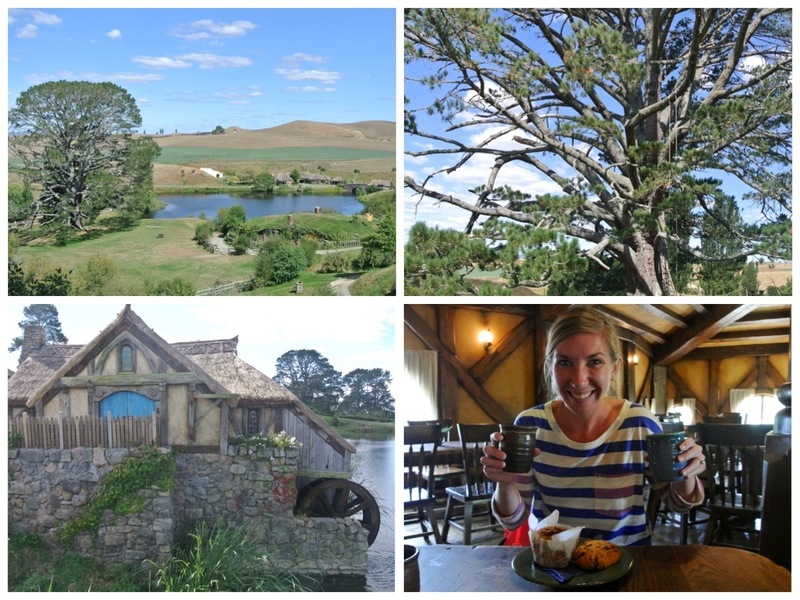 In addition to exploring the 48 hobbit holes and little village, we hung out underneath the Party Tree and finished the tour with cider and treats in the Green Dragon. 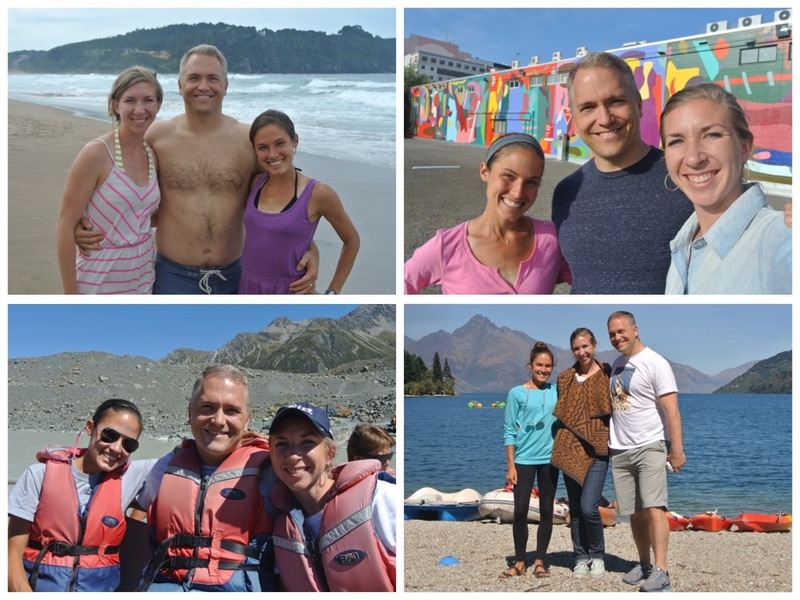 Needless to say, Paul and Callie’s visit was one of the most special, delightful, and fun weeks of my life, and they are truly my ideal travel partners. I hope to see much more of this big, beautiful world with them and to someday spoil them as much as they spoiled me all week long. 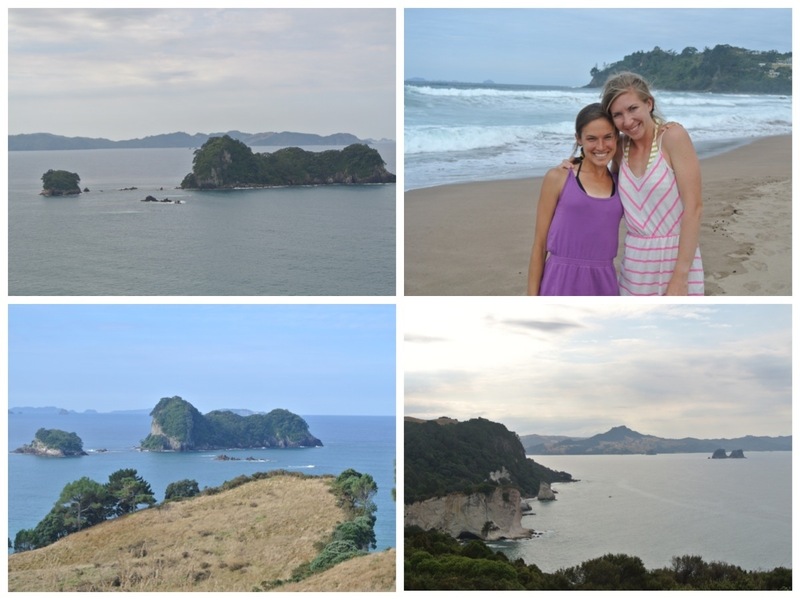 So thanks, Thomases, for coming all the way to NZ, including me on your adventures, celebrating my birthday, pack-mule-ing all of my goods from home, and being a constant example of life done right. I love y’all and think you’re both… 1.. 2.. AWESOME! And I love it when you show me your moves. And finally, did I just turn 24? Yep. 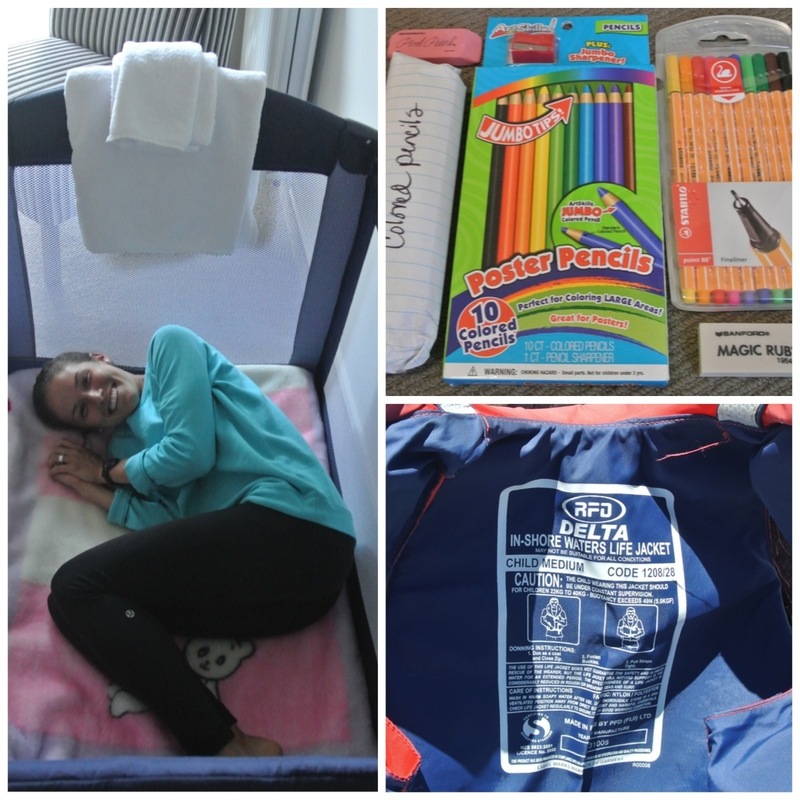 But was a crib delivered to the hotel room for me? Was art supplies one of the best gifts I could have asked for? And do I still wear a child’s life jacket? You betcha! Have fun paying the regular movie ticket price and ordering off the adult menu, Lucas… I think I’ll join ya next decade! Oh, and thanks for these… you really outdid yourself this year. BEST WEEK EVER!!! i’m having becky (& geraldine) withdrawals already!! and it’s weird – i have a six pack now – must have been all that chuckling all week long!! but seriously, who could be worse at planks?!!!?? I mean, cmon!! LOVED this blog post so much!! can’t wait until a certain Val gets over her shyness and becomes bffs with us! !